In today’s world, celebrities wear the most expensive and gorgeous dresses. Fashion and celebrities are deeply interconnected in this context. They like to wear the dresses designed by famous fashion designers to show them off at the award functions or at any other occasion. Wedding is one of the most important events in a women’s life. 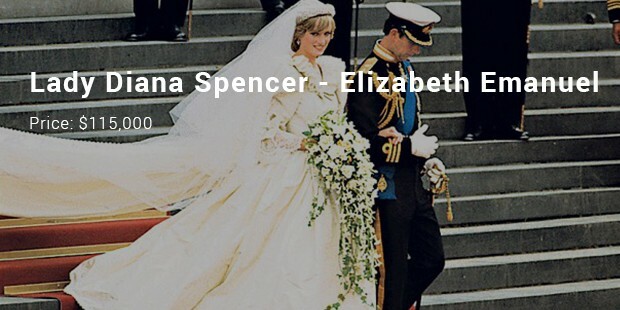 This is the reason why wedding dresses still dominate the list. 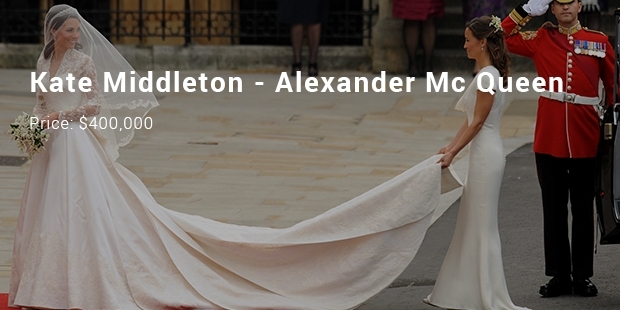 Kate Middleton married Prince William in 2011, during which she wore a gorgeous dress designed by Sarah Burton of Alexander Mc queen. The dress was made up of satin and was covered with lace bodice and had an appliquéd skirt. Flowers like rosés, thistles and shamrock were printed on the skirt and the dress was fully netted. Giorgio Armani is one of the world’s most popular fashion designers who always looked for beautiful women to showcase his designs. He created a dress for Cate Blanchett which she wore in the Academy Awards ceremony 2008. The good-looking dress went beautifully with the sparkling pearls that matched perfectly with the black color base. Catherine Zeta Jones married with actor Michael Douglas during which she wore a dress designed by Christian Lackroix. The dress was made up of satin and was covered with cute ivory beads and Chantilly laces. Zeta Jones also wore a diamond tiara from the jeweler Fred Leighton. The former model and bride of billionaire Donal Trump, Melania Kanuss is fourth on our list. 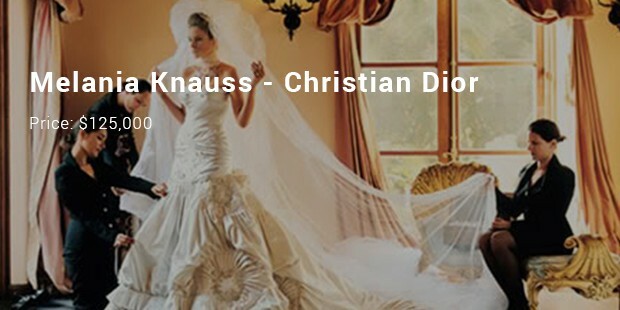 The famous fashion designer Christian Dior designed her beautiful wedding dress. The gorgeous white satin costume bejeweled with crystal white stones and the 1500 gems made her appear like a goddess. Most expensive dresses adorn the wardrobes of the richest celebrities in the world. They flaunt these on the red carpets of various award shows or at the most auspicious occasions of their lives. These rarely designed dresses creates a deep desire to own them but at a very high cost!